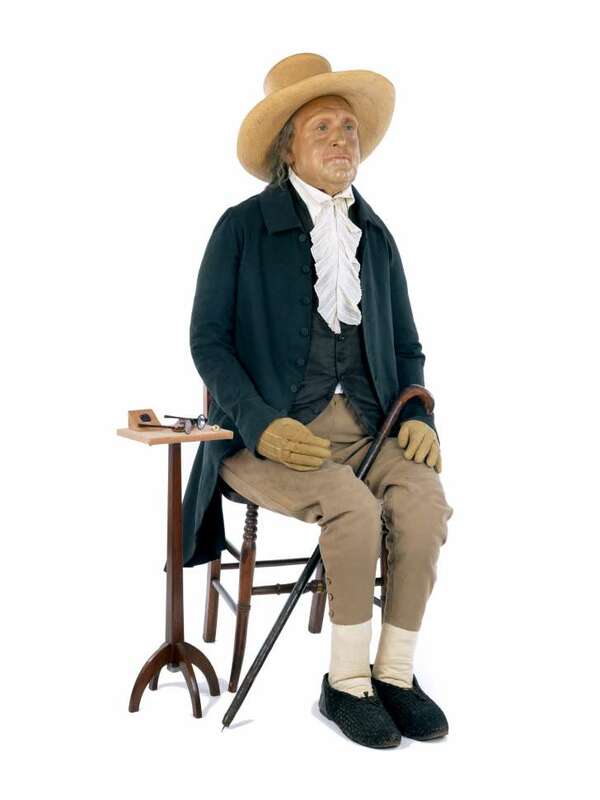 British philosopher Jeremy Bentham died in 1832, but he’s currently on display at a New York museum. One day toward the beginning of March, an unusual object arrived at a New York City airport. Carefully encased in a foam-padded, specially built wooden chair and strapped in with a bright-blue sash, it was the stuffed skeleton of one of Britain’s most famous philosophers—transported not for burial, but for exhibition. “We all refer to him as he, but the curator has corrected me. I need to keep referring to it,” says University College London conservator Emilia Kingham, who prepared the item for its transatlantic voyage. The stuffed skeleton belongs to the philosopher Jeremy Bentham, who died in 1832. But for well over a century, his “auto-icon”—an assemblage including his articulated skeleton surrounded by padding and topped with a wax head—has been on display in the south cloisters of University College London. Starting March 21, it will be featured in The Met Breuer exhibition “Like Life: Sculpture, Color, and the Body (1300–Now),” marking its first appearance in America. To read more about this fascinating gentleman and how he finally got to visit New York, read the entire article at Mental Floss!